As the title suggests it is about being able to provide defence for oneSELF in various situations. It all begins with self awareness, and confidence. 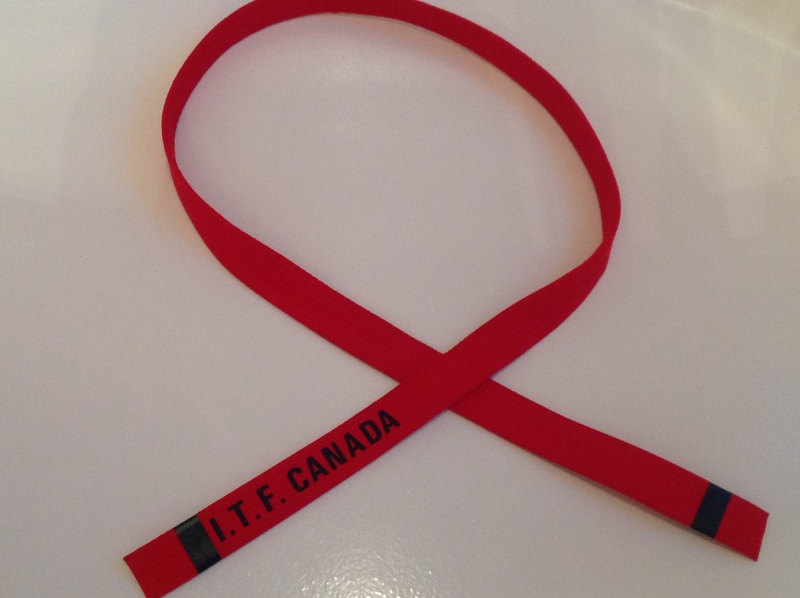 It is something that many people say, “I hope no one needs to use it”. Without realizing that in many many cases we are using it in our every day lives constantly. Much of it in the forms of avoidance and de-escalation of potentially dangerous or difficult situations. I am proud of my family and the journey we embarked on and the progress we have made on this front. We have been able to use it walking into meetings and negociating, with friends in the school yard, and on stage performing a musical piece for concerts. A lot of this has to do with confidence and being positive. If we address these situations with a timid and uncertain tone in our voices then others will react accordingly; and outcomes will be less than desirable for ourselves. I noticed that when I enter a meeting negotiating deliverables and I am positive and non-confrontational the others in the room will be much more amenable to reaching a compromise. Also, when I get the others in the room to focus on the successful deliverables already in place and then onto the challenges that they are facing; everyone is more creative and work better together. So remain positive and build upon successes! 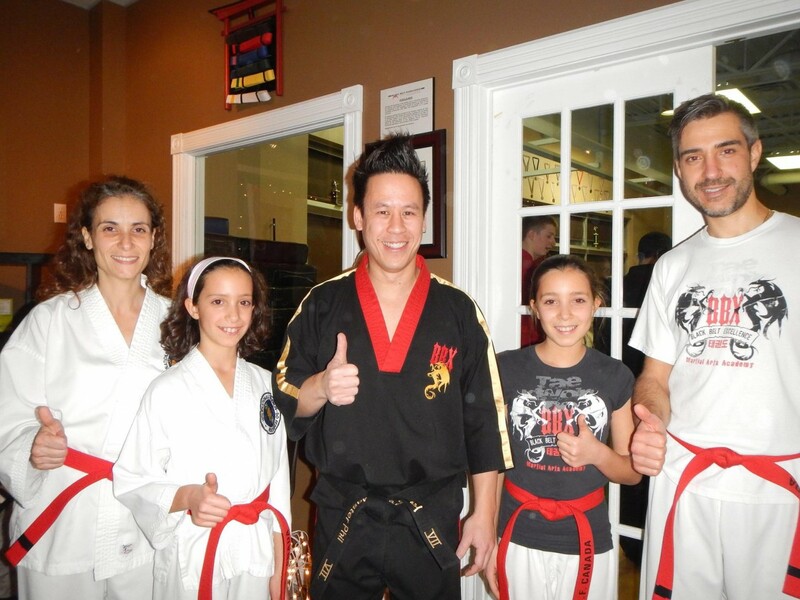 This is what I will be doing with my family this coming week-end while testing for our black belts. March 18, 2015 (Wednesday) at the TKD leadership day camp I learned many things. When I was helping the younger generation to do proper push ups and sit ups, I learned to be patient because they might not get it right on the first shot. Also, I found that it was important to keep a good spirit (positivity) and encourage them, to keep them motivated and engaged. 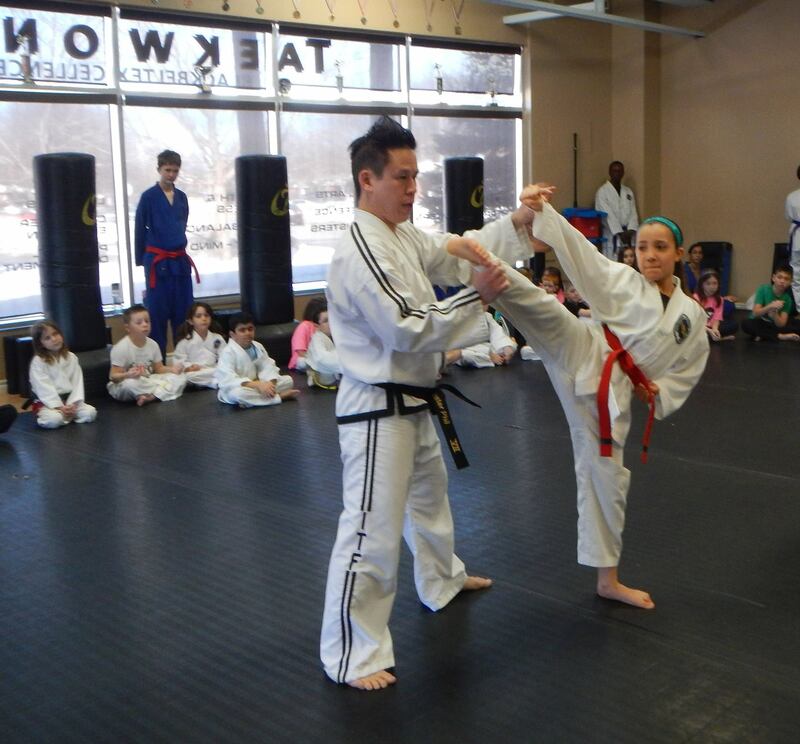 When I was practicing my kicks, I learned to do a jumping high twisting kick (which was very fun to do) since I already knew how to do a high twisting kick from Mrs.Duford who is a more experienced leader and taught me something new and helped me improve. I find that she is a good leader because she is very patient, she gives good feedback and she knows some tricks to help, here is an example: for the high twisting kick she showed me a stretch for my legs, it really helped my kick. Now I find that I can kick higher after doing the stretches. This camp was an opportunity for me to be a leader and show others the way and to be a guide just like Mrs.Duford was to me. It was a great learning experience for me and I look forward to doing a similar leadership activity at Taekwon-Do again! during a sparring match if I am tired I could tell my self: There can not be a lot of time left so I could still put out some effort! and if I am doing push ups I can tell your self: Come on, I could do better than that, at least ten more! You see, I learned that negative thoughts are just my brain blocking me and telling me that I can’t do it any more. Now it’s time to go conquer more obstacles, because I know it is a lot easier than I think it is! The UBBT physical conditioning is going great! Getting to sets of 40 reps went well. Now comes a challenging part for me. What I refer to as, “breaking the psychological barrier”. “What is that”, you ask. It’s getting through the sets of 40 reps and on to the 50’s. Perhaps it’s because I am afraid of some day hitting the 50’s (age that is). So, what I’ve begun to do is break it down into 20 + 10 + another 20. For some reason that seems to work. Is it because I enjoyed my 20’s more . . . Maybe! The same thing happens with the one minute of plank. I get to a certain number of seconds and then my body says, “enough already!” But if I know there are only 20 seconds or so to go, then I can get my mind to kick in and psych myself to complete the challenge. Break your psychological barriers and complete your challenges! I learned to expect the unexpected and to be ready for it. I learned that looks could be deceiving. I learnt that lesson when I was tapped on the head with a kick. Luckily for me my opponent showed good self control and had his footgear on. Reminder: Be aware of my opponents’ hidden abilities! Thinking that I would have more chances later in the sparring round to get my points, did not always pan out. Some opponents seem to gain energy as the round goes on. Reminder: I don’t know when I’ll get another chance. I’ve noticed how some of my opponents are able to anticipate some of my moves and use them to score points. Reminder: The fewer points my opponent scores the fewer I will need to win. So I need to self correct, and change my approach during the match. Conserve enough energy to finish the round huffing and puffing – and not passed out on the mat. 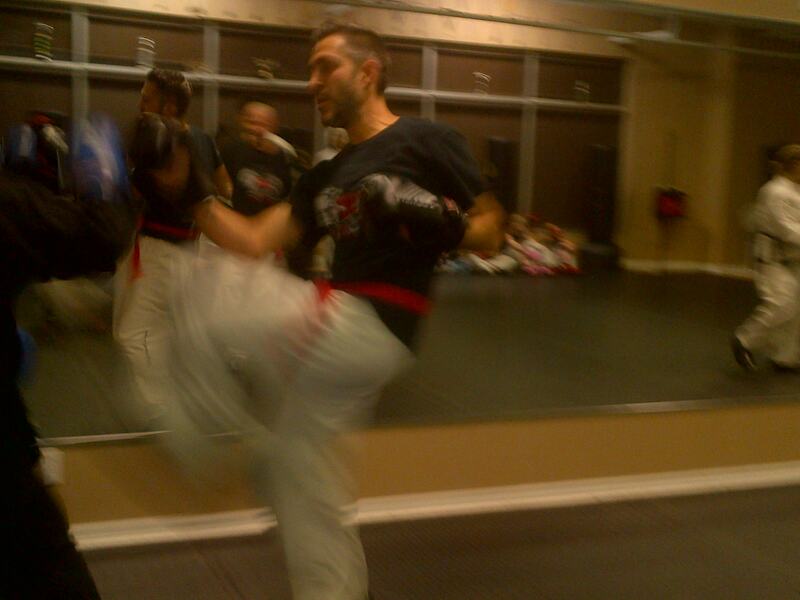 At times, I had to spar multiple rounds with different opponents and felt like I could not counter attack or block properly. 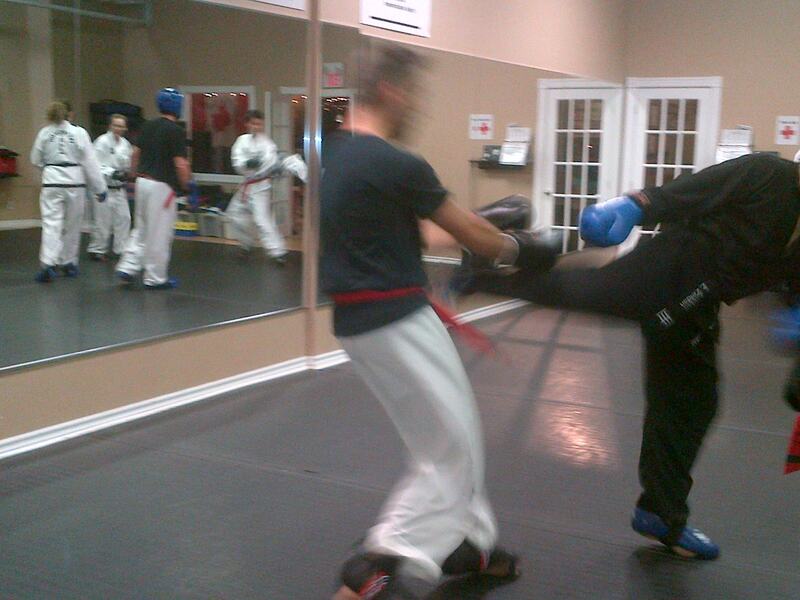 So it was important to adopt different strategies, and change my style of sparring to save some fuel. Reminder: Save my energy I may need it to go another round really soon. I enjoy sparring in the dojang as I know we are all just trying to score points without hurting ourselves; all the while getting a good work out with family and friends. When the match is over if my opponent and I are both huffing and puffing and are able to smile – it was a success. A success even though I may have a sore shin, forearm, even a toe. Not to mention a bruised ego or cheek. I really look at sparring as a game, pointing out weakness in the opponents’ defenses and challenging myself to learn new strategies from them. Ultimately, I am grateful to be able to speak with my family about each of our sparring match experiences from the night on the ride home and be able to laugh about them together. This week was patterns and sparring week and as I reflect on lessons learned my awareness is drawn toward the acceleration and power in patterns. Although I’ve been doing some of these patterns for years, the brain still gets muddled when asked to do all patterns at once – it is definitely a work in progress, that requires practice, practice and more practice. 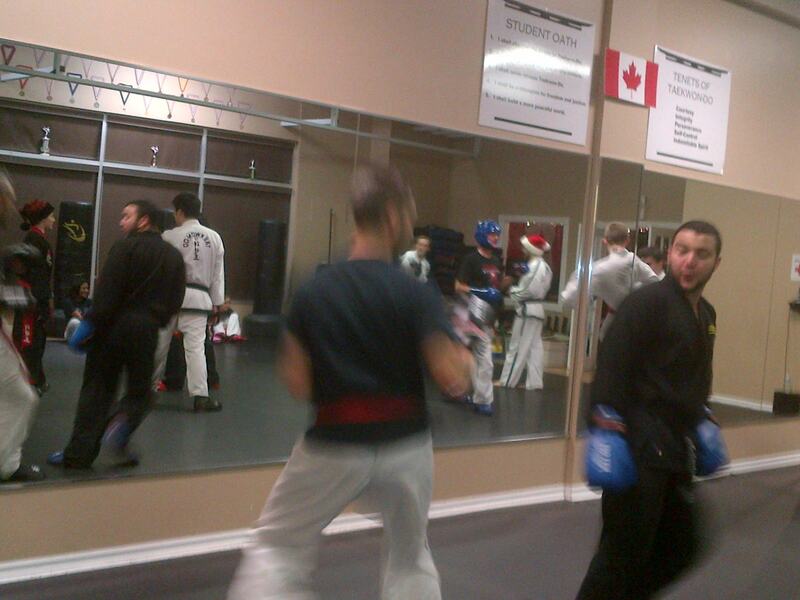 Overall, I have noted improvement on form and fluidity since I started TKD. This week, with the kind assistance of one of our conscientious leadership team members, my awareness was brought to improving the acceleration and power in my movements. A properly executed pattern is poetry to watch, and I have seen many a beautiful pattern performed by TKD masters live and on-line. The well executed sign waves, timed acceleration and powerful impact at just the right moment against an imaginary opponent are easy to observe and admire when done properly and an eye sore when not. My goal for patterns improvement between now and the next time we train for patterns at the dojang is to decrease the eye sores by focusing on the acceleration of each movement right before the moment of imaginary impact. This will be accomplished by increasing practice times and incorporating music to patterns practice, which we did in the dojang for the first time this week. Although performing patterns to music was confusing for me at first, I can understand how the rhythm of different musical pieces helps to focus the execution of each movement. I also observed this when my daughters performed a musical team pattern for a tournament. It all comes together differently, more eloquently. Before going off to practice some patterns, I share with you one of my family’s favorite online patterns videos performed by 6th degree Black Belt, Jaroslaw Suska. He truly embodies excellence in acceleration and power in his patterns. Here is one of my personal favorites where he performs Joong-Gun Tul – Enjoy! 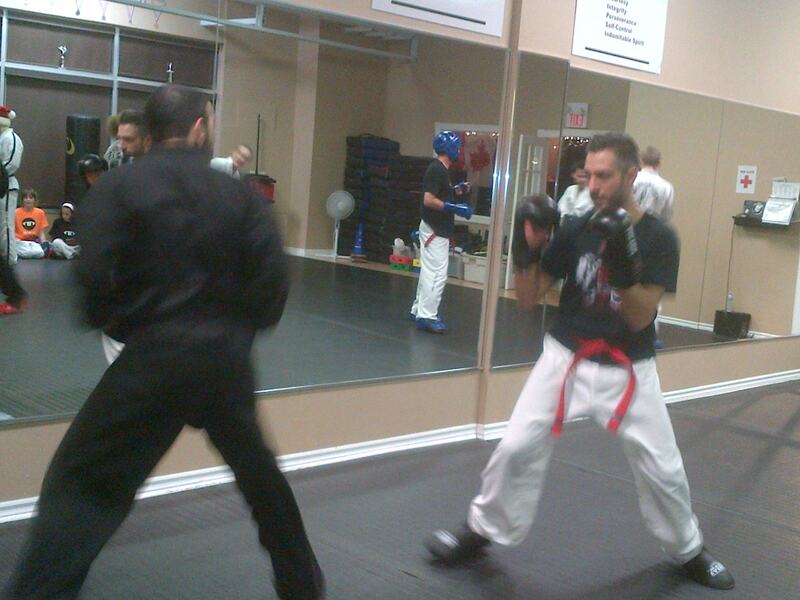 It has been five years since we started our journey to black belt and it is difficult to believe how far we have come. I still remember the first time we entered Black Belt Excellence Academy, it was for a birthday party. 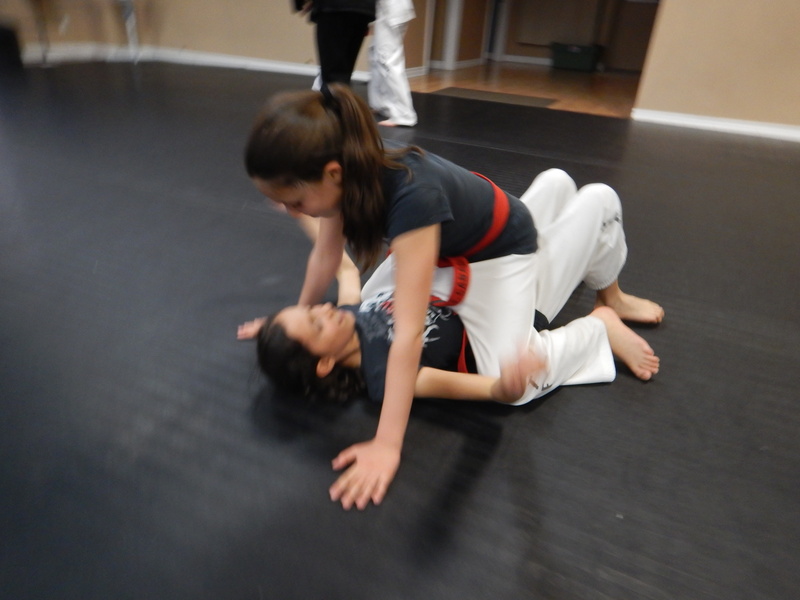 Sofia was six, Chiara five and in conversation with the parent hosting the birthday party, the idea of signing the girls up for martial arts training began to germinate. Never had it crossed my mind that this would turn into a family adventure. Other than a self defense class I had taken in college, I knew nothing about martial arts and was not at all drawn by the combative aspects of the discipline. Needless to say, after meeting with Master Phil, the family training package was a no brainer. So the four of us signed up, some of us more reluctantly than others and here we are December 2014, on track to test for our black belts in the next six months. Wow! So as a tribute to all Taekwon-Do families, little ninjas and black belt warriors, the Pizzuto /Paduano familiy is sharing their thoughts and experiences from the dojang. All are welcome to join in the conversation to share comments, insights, moments of pride and moments of humility with us and others. Now off to do some push ups…there is much training to be done!